Where Do I Keep All My Sewing Machines? David asked where I keep my Vintage Sewing Machines (VSM)? 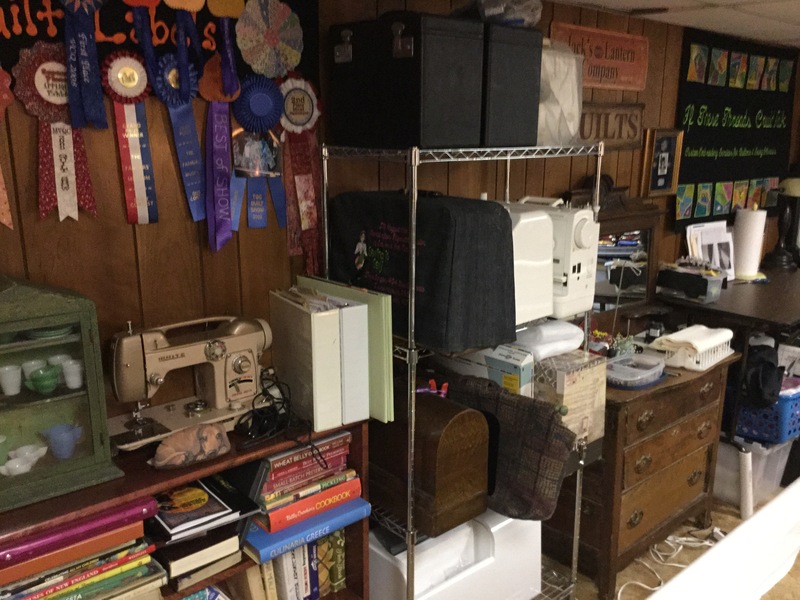 I just moved and had to give up two VSM, but I keep some of my sewing machines on what I call “the garage”, a shelf in my sewing studio. They are scattered around as Knick Knacks so I can see them every day. Below I’m working on two different projects requiring two different machines. Nothing beats the 1/4″ seam accuracy on my 1939 Featherweight! The treadles are used as bedside tables and end tables throughout the house. 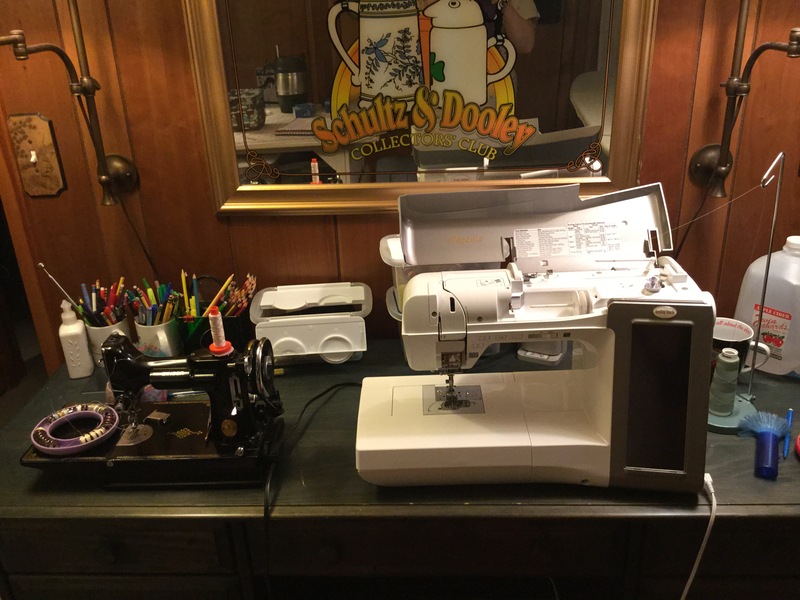 This entry was posted in Sewing Machines I Love and tagged quilting, Quilts, Vintage Sewing Machines on February 10, 2015 by ifthesethreadscouldtalk. I’m so glad I’m not the only one that has a love for VSMs!!! I have two featherweights, a 301 Long bed, and two treadles. My husband thinks I have a problem (aka addiction)! Do your VSMs have names? Yes, I have a tendency to name them. I named my 1958 Singer 404 Maggie the Cat after the movie Cat on a Hot Tin Roof. I think it was nominated for an Oscar in 1958. 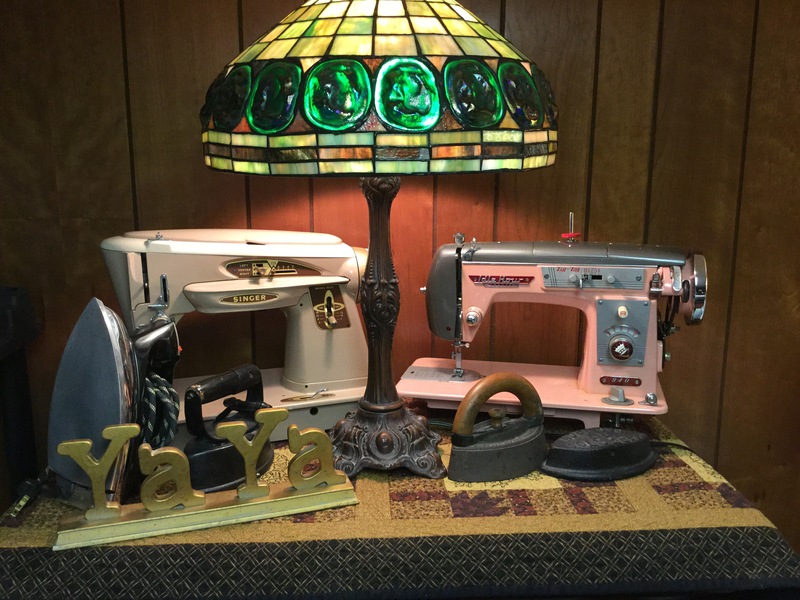 There is a great group on Facebook called Vintage Sewing Machines. Keep in mind if the electric power goes out you can use your treadle to sew. When I lived in England, my neighbor had a treadle sewing machine and she would tease me that I needed electricity to sew – power on base went out a lot!. Stay warm. Who knew you needed to rake the roof! I have a beautiful 1924 hand crank Singer for that very reason, a girl has to be prepared. So far we don’t need a roof rake yet ( knock on wood)! Jackie! I love the picture with your machines as decor. That’s a great way to enjoy them. I’m glad that you at least have fairly clean roads! Hi Miss Abby, I miss you. I love all your wool work. Say hi to Sarah for me!